DANVILLE, Virginia — If any place is built for speed it’s VIRginia International Raceway (VIR) – it was recently chosen by Car and Driver magazine as one of the top six road courses in the nation. VIR hosts The TUDOR United SportsCar Championship (TUSC), NASCAR and other professional and amateur auto and motorcycle events. From its humble beginnings in 1957 when a group of men took a bulldozer to plow a track through some farmland, it’s grown to become a world-class motorsports facility. It took a while for its PA system to catch up, however – until recently, thanks to HARMAN Professional and systems integrator Choice AVTech. The new system includes 13 JBL AWC129 compact all-weather loudspeakers and 17 AWC82 all-weather loudspeakers, driven by a Crown CDi 6000 and two Crown CDi4000 amplifiers. The speakers are mounted on their included metal U-brackets atop 30-foot high poles that are deployed around the perimeter of the racetrack. A dbx DriveRack 4820 Loudspeaker Management System provides EQ, time alignment, signal routing and other system processing and control functions. Four AKG D5 dynamic vocal microphones and two AKG K271 MKII professional studio headphones are used by the track announcers. Miller went with the Crown CDi Series amplifiers because of their power and efficiency. “Right now we only require three amplifiers to power the system, which I think is a testament to their effectiveness.” Regarding the AKG D5, he finds it to be an exceptional dynamic microphone with an easy to activate on/off switch and warm, yet clear sound. VIRginia International Raceway is one of America’s premier road courses, offering professional and amateur racing for modern and vintage classes while providing contemporary resort amenities. Conveniently located at the Virginia/North Carolina border, VIR is just a short two hour trip from Richmond and about an hour and 15 minutes from both the Piedmont-Triad and Raleigh-Durham International Airports. Recognized as the country club of racing, VIR offers complementary amenities such as lodging, dining, a spa, an exclusive driver’s club, karting, off-road racing, shooting sports, skid pad and more. The grounds also offer a unique setting and specialized facilities for corporate retreats, group activities and conference space. 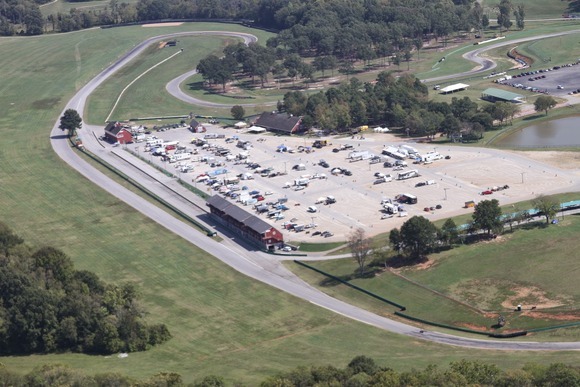 Onsite parcels are available for sale/lease to motorsports industry tenants.